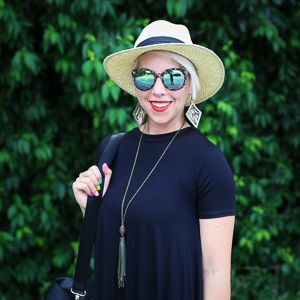 As a busy momma of 4, my makeup routine has to be pretty quick. I love wearing makeup and I actually consider myself one of those people who "needs" makeup...it's just better for everyone involved...so everyday is a makeup day for me. While I enjoy trying out new makeup, my only experience with air brushed makeup was when I got my makeup done professionally for a wedding a few years back...and loved it! I remember it looking so flawless! So when I got the opportunity to review a Dinair Airbrush Kit, I was down right giddy. My face has always been rather uneven toned and reddish, so I was interested to see what a difference airbrushing would make. And boy did it! After I got the kit and various shades of makeup, I Skyped with a Dinair makeup artist who color-matched my skin and taught me how to "airbrush" myself...and I've used it every day since. Depending on the amount of coverage I want, I'm able to use as much or little as I want...see the difference below? Dinair is lightweight, hypoallergenic, paraben and oil free, and can be applied super easily and quick. I've loved getting to experiment with all the different ways to use the applicator...especially with my eyebrows, which are basically non-existent without some help. Check out my video below to see how I've learned to make it part of my new makeup routine. 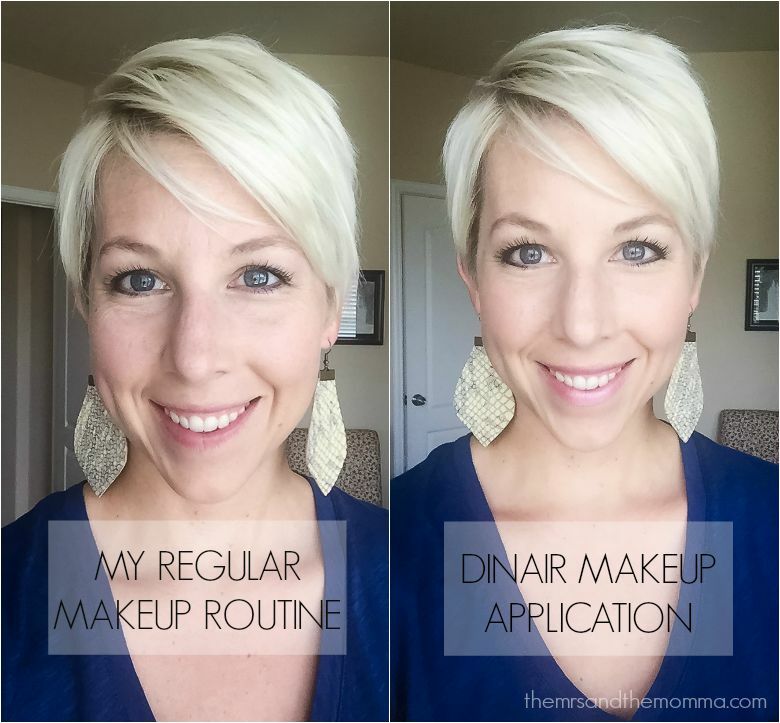 I would definitely recommend, dare I say "life-changing", Dinair Airbrush Makeup!!! With the ease of application and long-lasting quality, it's made me more confident in being presentable all day long, while also being able to turn up my "look" a few notches. A big thanks to Dinair for sending me this amazing product!!!! Have you ever tried airbrushed makeup? What did you think? Great quick and easy tutorial! Thanks for sharing. Love seeing you vlog! That is a pretty big difference between your regular and the airbrushing - your skin looks FLAWLESS in the second photo!